Educated at Highgate School and the Middlesex Hospital Medical School, I qualified in 1973. After pre-registration posts at the Middlesex and Kettering hospital I worked at the Hammersmith and Brompton hospitals before moving to Bath as a medical registrar. I undertook my training in rheumatology and rehabilitation back at the Middlesex, with attachments to the Royal National Orthopaedic and Northwick Park Hospitals, before being appointed Consultant at Queen Mary's Sidcup and the Brook Hospital, Woolwich in 1983. A re-organisation of sessions took me full-time to Queen Mary's in 1989. I was also Director of the Elmstead Rehabilitation Unit from 1985. I retired from the NHS in 2011, when we moved to Rye, East Sussex, and retired from private practice in 2014. My particular rheumatology interests were the teaching of examination technique and joint injection and the clinic management of rheumatoid arthritis. Over many years I amassed an extensive collection of interesting and representative clinical photographs and X-rays, and co-edited a slide atlas (published in book form as "Clinical Rheumatology" by Gower Medical Publishing in 1986). My e-lecture on digital photography and images in rheumatology appeared on the MSec portal early in 2005. Between 2001-2005 I authored a monthly column in "Rheumatology", writing as Robin Goodfellow (the mischievous Puck in Shakespeare's "A Midsummer Night's Dream). I was involved in the "politics" of Rheumatology and was Chairman of the Clinical Affairs Committee of the British Society for Rheumatology from 1998 to 2001, during which time I chaired the Society's Working Party on TNF-alpha blockade in rheumatoid arthritis. I was until 2005 a member of the External Relations Committee. In April 2005 I became President-Elect of the BSR and was President from April 2006-2008. While Director of Medical Education at Queen Mary's I was fortunate to discover the bulk of the First World War casenotes from the Queen's Hospital, and have lectured widely on these to medical and non-medical audiences. I have also prepared articles for the "Journal of Audiovisual Media in Medicine" and "Current Anaesthesia and Critical Care", and contributed a chapter on facial injury to Huch Cecil and Peter Liddle's book "Facing Armageddon: The First World War Experienced" (Pen & Sword Books, 1996). 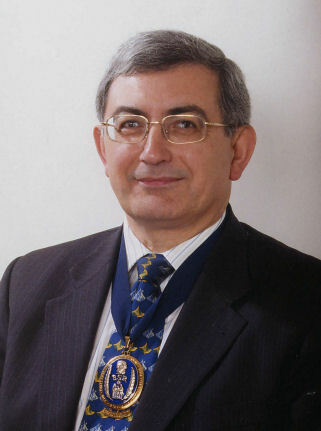 In 2007 I was, jointly, the BAPRAS Gillies lecturer and Gold Medallist - the only non-surgeon, apart from Ivan Magill, Gillies' anaesthetist, to have been accorded the honour. I have also submitted a chapter for the forthcoming Oxford Handbook of the First World War, contributed a chapter to "Britain and the Widening War: 1915-1916" (ed. Peter Liddle, Pen & Sword Books, 2016) lectured in Auckland in March 2014 and spoken at the “Gueules Cassées” conference in Paris and at the Royal College of Surgeons in October and November 2014 respectively. I was greatly honoured to be invited to give a second Gillies Memorial Lecture at the BAPRAS Annual Meeting in Birmingham in 2015. My book "Faces from the Front" which details WW1 facial reconstruction at Sidcup and across Europe was published by Helion Press in 2017. I am always interested to expand the archive website, so do let me know if you have come across any useful sites (or other resources) relevant to medicine and the Great War. I enjoy gardening, writing to "The Times" (a record 8 letters in 2004, and over 65 altogether) , photography, holidays and antique-hunting with my wife Liz (who was a GP in Sidcup until October 2005) and children Alex and Nick. I am on the committee of Rye Conservation Society and Rye Town Council's Highways Forum.